Keith and Caroline Pattinson at their headquarters in Newcastle city centre. A new philanthropic fund has been launched to help tackle homelessness in the North East. Family-run Pattinson Estate Agents has created the new £150,000 fund. It is being held at the philanthropy advice charity, Community Foundation Tyne & Wear and Northumberland, which matched a donation totalling £100,000 with a further £50,000 through its endowment challenge, Mr Murray’s Million Pound Match. Keith Pattinson said: “I founded Pattinson Estate Agents on July 4, 1977, and have witnessed the huge changes in the housing market and shifts in technology. “Sadly, one thing that hasn’t changed is that there still exists members of our community who are homeless, at risk of homelessness and who need our support. “To celebrate our 40th anniversary, my daughter and I decided to do something special and establish a fund at the Community Foundation that will help us give back to the area in which we have grown as a business. “The match on our donation has really made a difference, adding a further 50 per cent to grow our endowment. 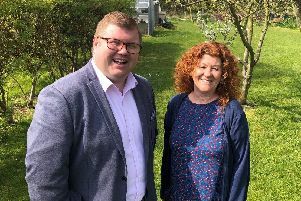 The Community Foundation launched its endowment challenge in September, and has since received £1million in donations from seven new endowment funds and additional donations to existing funds. Pattinson Estate Agents is the only business to set up a new endowment fund as part of the challenge, and the Community Foundation is aiming to encourage other firms to take up the offer and make corporate social responsibility a key focus in 2017. Sandra King, chief philanthropy officer at the Community Foundation, added: “Mr Murray’s Match is a great opportunity for individuals and businesses wishing to establish a philanthropic fund here at the Community Foundation. “Our endowment model means that funds exist in perpetuity supporting a wide-variety of issues in our community, with expert philanthropy advice from our team. With a little less than £500,000 remaining of Mr Murray’s Million Pound Match, individuals, families and businesses who are looking to begin their philanthropic journey are advised to contact the Community Foundation.